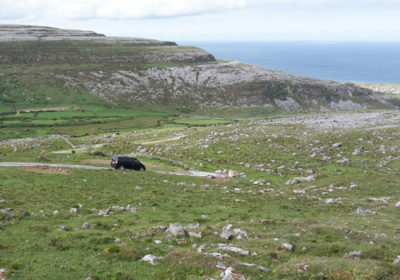 Driving tours and walking tours for small groups over our mountain farm in the heart of the Burren. 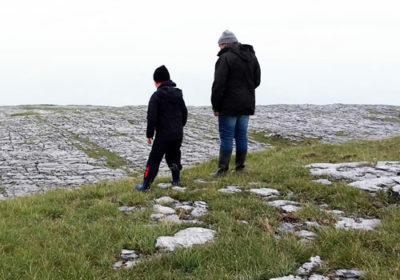 Far from the main tourist routes, we follow the old herdsman’s track over Murrough mountain and along the Atlantic coast while telling you above life and farming in the Burren. Ideal for those who may not be able to walk this strenuous route. 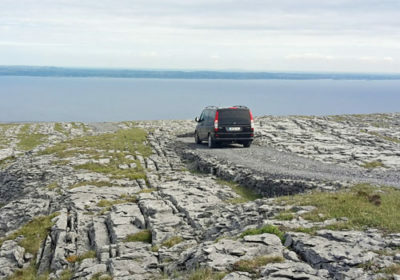 Fantastic views of the Aran Islands, Galway Bay and the Burren landscape from the top of the mountain. This is unique off the beaten track experience. 90 minute drive over our mountain farm up to 1,000ft (300m) above sea level. 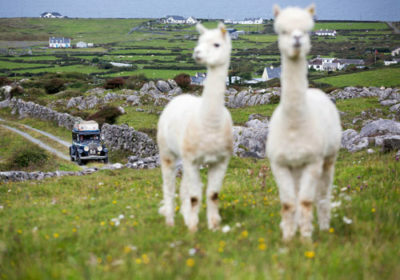 90 minute driving tour of our mountain farm with a stop for a picnic lunch while enjoying amazing views of the Atlantic Coastline and Galway Bay. 90 minute driving tour around our mountain farm in the evening where we stop and watch the sun go down over Galway Bay.